The skilled employment law attorneys of The Morales Firm, P.C., in San Antonio, use their more than 70 years of combined experience to assist clients whose rights have been violated in the workplace, and to defend employers accused of violating them. Our Texas lawyers work hard on behalf of plaintiffs and business owners alike - conducting investigations of employee complaints, effective negotiations for prompt problem-solving and aggressive litigation when necessary. During our many decades of practice, we have built a significant reputation for positive results, in and out of court, in employment law practice areas such as discrimination, harassment and wrongful termination. 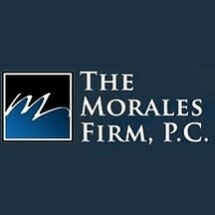 The Morales Firm, P.C., provides a team approach to solutions for workers and employers in matters involving retaliation, Family Medical Leave Act time off the job and accommodations established in the Americans with Disabilities Act. We also handle wage, hour and overtime matters, and instances of failure to give notice of a plant's closing or mass layoffs. Our firm-wide versatility allows us to help resolve business disputes, family law matters, criminal defense, as well as probate issues. Contact our San Antonio employment law offices by phone or email to arrange your free initial consultation. Spanish language translation is available upon request.